Music has a magical quality that transports listeners to another place and time. Whether it serves as a means of entertainment, education or escape, music forges connections between people of all ages and backgrounds. Several upcoming events at the Bankhead bring to life important periods in American musical history and their long-lasting influence on cultural trends. Don’t miss these opportunities to expand your knowledge of history by enjoying a musical journey through time! Folk legend Peter Yarrow of Peter, Paul & Mary joins a talented group of young singers and musicians in this powerful anthem to American folk music. A concert version of the acclaimed Off-Broadway musical, the show celebrates such iconic artists as Woody Guthrie, Leadbelly, Bob Dylan, Buffalo Springfield, Crosby Stills and Nash, Joan Baez, and Joni Mitchell. Described by The New York Times as illuminating and achingly beautiful, “Lonesome Traveler” reflects on the ways in which the story of folk music is truly the story of an ever-changing America across the generations. Young singers and musicians, together with Peter Yarrow, take audiences from the 1920s to the 1970s, from the front porches of Appalachia to the nightclubs of San Francisco and New York, and from the festival stages of Newport to the sound stages of Los Angeles. With beloved songs such as “If I Had a Hammer,” “This Land is Your Land,” “Blowin’ in the Wind,” “The Times They are A Changin’,” and “Hallelujah,” they honor the music that made history and the history that made music. 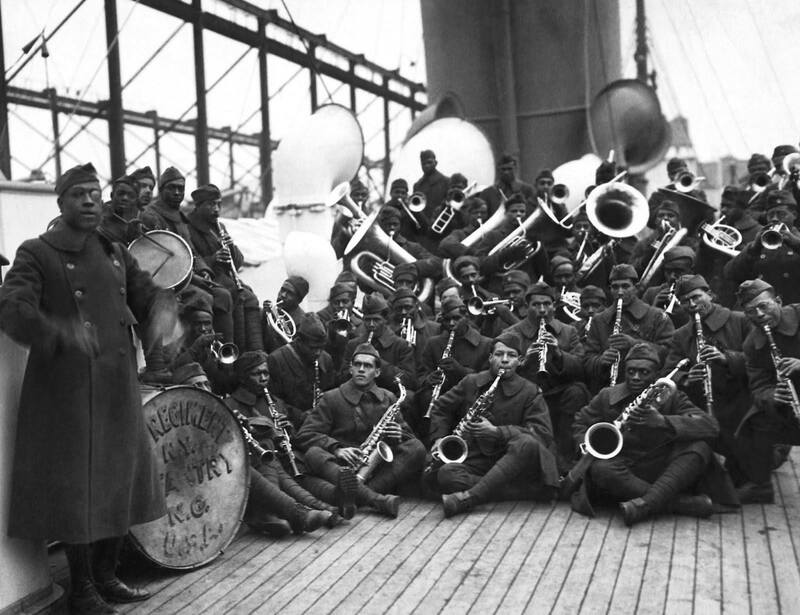 The California State Military Reserve Band directed by James W. Lamb, offers a fascinating view of the evolution of jazz music in America through the innovations of WWI soldier and bandleader James Reese Europe. A leading figure on the New York African-American music scene at the beginning of the 20th century, Jim Europe achieved a remarkable number of milestones in a very short time span. He brought African-American music to a broader audience, desegregated Broadway and the musician’s union, adapted the use of saxes and the drum set in jazz, landed the first recording contract of an African-American ensemble, and invented the Fox Trot. His orchestra was the first to perform jazz at Carnegie Hall, 26 years before Benny Goodman. When the US entered World War I, Jim Europe enlisted in the National Guard and was sent to France. He was the first African-American to lead troops in battle, but was wounded and sent back to lead the band he had helped form, the 369th Regiment, known as the Hell Fighters. His unit served as part of the American Expeditionary Force (AEF) and helped introduce jazz music to cities throughout Europe. Jim Europe’s innovations played a significant role in the evolution of Ragtime music as it became the foundation for the Jazz Age sound of the 1920s. 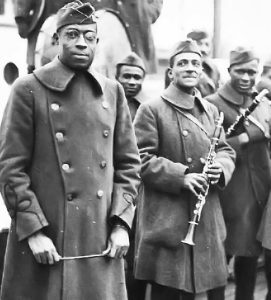 Traveling from the stage of Carnegie Hall to the battlefields of World War I France, this presentation combines narrative, images, video, and live music to chart the story of this groundbreaking African-American musician and soldier. All of the music performed is historically accurate compositions and scores as played by the original ensembles. Band leader, Chief Warrant Officer Two James Lamb, a trumpet player and a 30-plus year veteran in the music and audio industry, has performed at Lincoln Center and conducted at Carnegie Hall. He gathered, arranged, and developed the Ragtime to Jazz program, and acts as narrator. “From Ragtime to Jazz” is a free community concert underwritten by the Livermore Valley Performing Arts Center’s Producer’s Circle Fund. Donations to this fund help keep high quality performances at affordable prices, secure broader more adventurous programming, and support free community events.